BlackBerry couldn't compete with Apple when the latter launched the iPhone in 2007, and attempts to do so crippled the once-dominant phone maker, according to ex-BlackBerry co-CEO Jim Balsillie. Speaking about BlackBerry this week for the first time in public since he left his position in 2012, Balsillie told Jacquie McNish and Sean Silcoff — the authors of the new book Losing the Signal: The Spectacular Rise and Fall of BlackBerry — that fear of Apple's new device forced the Canadian company to rush out its own touchscreen smartphone, the BlackBerry Storm. "With Storm we tried to do too much. It was a touch display, it was a clickable display, it had new applications, and it was all done in an incredibly short period of time and it blew up on us," Balsillie said on stage at Toronto's Empire Club. The stricken Storm had "a 100 percent return rate" for Verizon, a figure that caused the carrier — BlackBerry's largest customer — to demand $500 million in compensation and to push handsets made by other manufacturers. "That was the time I knew we couldn't compete on high-end hardware," Balsillie said. "We had to stick to the low end." "BlackBerry knew it couldn't compete on high-end hardware"
On software, too, BlackBerry was slow to adapt to new challengers. 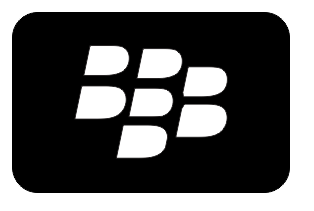 Balsillie said he wanted to open the once-popular BlackBerry Messenger (BBM) service for use on other devices, noting that the company actually made most of its money on services rather than hardware. But his advice was apparently ignored, and the software wasn't allowed onto Android and iOS until 2013 — long after the chat initiative was snatched by services such as WhatsApp.